Description: This will be a LIVE webinar and will be very interesting to anyone looking to buy and invest in Belize. * Buying for investment compared to personal use. * Bargain Properties in Expensive Neighborhoods. * How to get financing and work with banks and developers. * Hurricanes, Insurance, Stamp Tax, Global Warming. * Buying vs Renting, when it's NOT advisable to purchase. This will be a live webinar that is scheduled to go for (1) hour. The first 30-40 minutes will be completely educational and the last 20-30 minutes will be for live Q & A. Depending on the audience and the amount of questions the webinar may go on for longer than one hour. I'll take as many of your questions as possible and try to make sure none are left unanswered. Before the webinar I'll be sending all registered attendees a PDF. Please print this PDF out as you'll be able to use it to take notes and jot down any questions that you'd like to ask. Description: This will be a LIVE webinar and will be of particular interest to current property owners and investors looking to move some cash offshore. * What the latest tourism numbers indicate. * An interesting look at recent Google searches and trends. * The top 8 things affecting property values on Ambergris Caye. * Predictions on what changes the island will go through in the next 3-5 years. This will be a live webinar that is scheduled to go for (1) hour. The first 45-50 minutes will be completely educational and the last 10-15 minutes will be for live Q & A.
I'll take as many of your questions as possible and try to make sure none are left unanswered. Title: "Insiders Guide to Buying and Investing in Belize"
* Where to invest for the highest returns. * Where to AVOID buying and what mistakes to steer clear of. * What it means to look at the "Path of Progess"
Depending on the audience and the amount of questions the webinar may go on for longer than one hour. In this webinar we take a look at a few new exciting things happening on Ambergris Caye and see how it impacts the real estate market. We cover things such as the grand opening of Mahogany Bay Village, a Hilton Curio Collection property. As well as review the info on the Wyndham Grand Ambergris Caye (Venezia del Caribe) project. Brahma Blue is now open again! Which is great news for property owners and investors in Costa del Sol. Title: "Belize - Living Life on Your Own Terms, Finally!" Description: One of those "Ah, Ha..." moments. One of the best things I learned from attending the "Summit at Sea" Investor Cruise with the Real Estate Guys and Robert Kyosaki (author of the Rich Dad, Poor Dad series) was that "good education should lead to effective action." Taking action. Making that next step. Deciding to actually DO something. That had been missing from my life and I was missing out because of it. Jim Rohn famously said "If you let your learning lead to knowledge, you become a fool. If you let your learning lead to action, you become wealthy". Some don't take action because of fear. Theydon't know what they don't know. So they learn, study and read. But never take action. And so never actually go anywhere or do anything. 1. Help you to see if Belize is right for you. It might be. Or it might be a disaster. Who knows? 2. Give you enough information and answer enough of your lingering questions for you to take some sort of action. That next step. 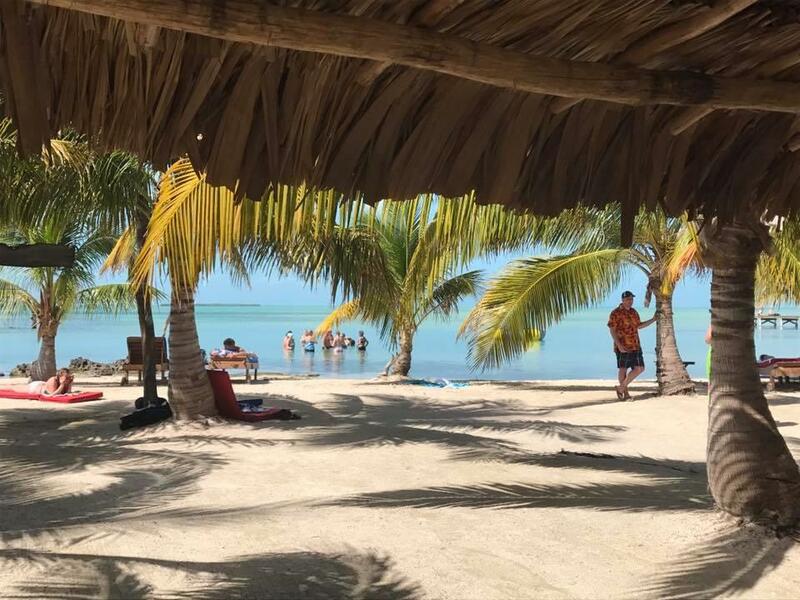 PS - When you visit Ambergris Caye you must spend time at Secret Paradise Beach Bar and Grill. It's just incredible. This will NOT be a recording. This will be an actual live event. Think investing in Belize is all palm trees and cocktails on the beach? Think again! Get the facts. Get the truth. * What are the pros and cons of owning ANY real estate in Belize? * Why businesses in Belize fail and what makes a few successful. * How to invest specifically for the tax advantages and the financial returns. Get the truth about Investing in Belize. Cut through the misleading and contradictory information all over the internet. During this event I'll be taking questions live from real attendees. Please plan to be there and have your questions ready. I promise to make this worth your while.